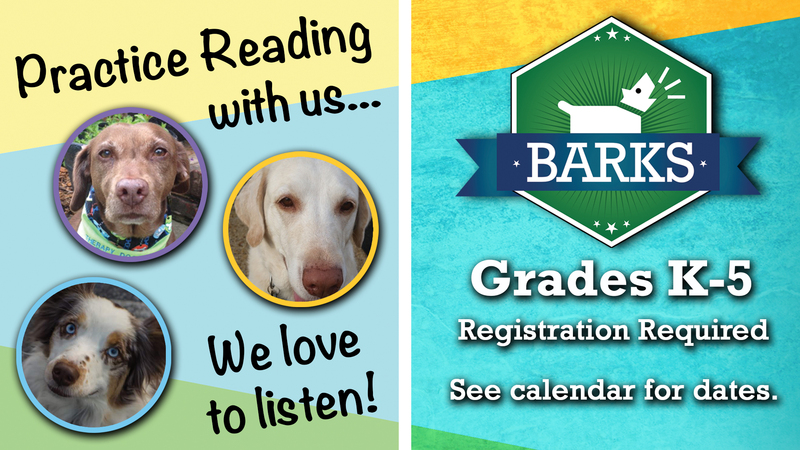 BARKS is a reading to therapy dogs program designed to help increase a child's confidence and reading skills. *Please Note* Depending on the number of participants and the number of therapy dogs available, participants may be asked to read to dogs in shifts. SPL events are free to attend and open to people of all abilities. If you or someone in your party will require accommodations in order to participate, please call 757-514-7323 and ask to speak with a manager or contact dward@suffolkva.us. You do not need to be a library member in order to attend.